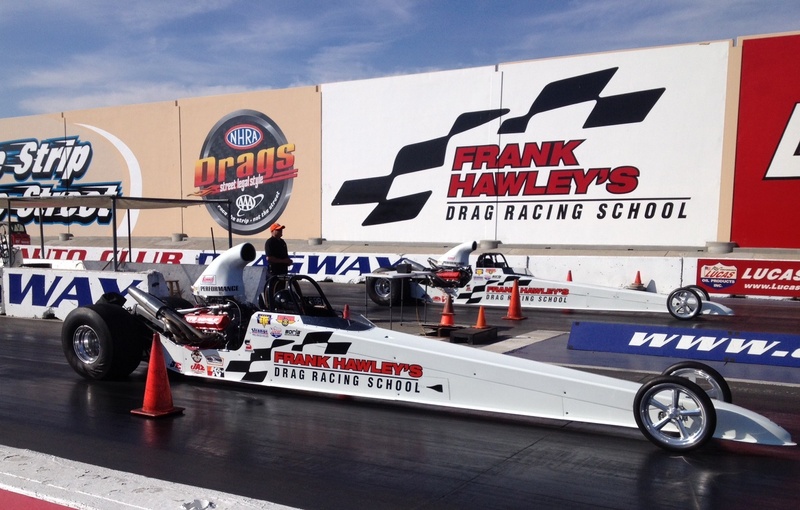 Frank Hawley’s Drag Racing School is back at ‘The Strip’ in Las Vegas starting May of 2017! The world’s most successful and popular Drag School will offer a full slate of classes including NHRA Super Comp and Super Gas licensing courses and its popular Adventure Dragster program featuring “side-by-side” racing. “We’ll be starting our West Coast tour at Tucson Dragway in April, then we’re at our second home of Auto Club Dragway in Fontana, CA. After that, it’s on to Vegas,” said Hawley. The two-day Super Class allows drivers of all backgrounds the opportunity to earn their NHRA competition driver’s license in the school’s Chevy Performance 572/720R equipped Super Comp Dragsters or Super Gas Firebirds. For drivers that already have their own car, the school offers a “bring your own car” program that gives drivers the opportunity to enjoy the same driving course behind the wheel of their own race car. No experience is necessary to take the course. In addition to on-track time, students will learn from Frank’s classroom sessions which cover the physiology of how the mind and body work together. Participants will learn how to mentally prepare, perform at the highest level, improve focus and block out distractions. Frank teaches how to practice more effectively, feel more confident about pulling up to the starting line and he shares techniques on how to remove the emotional baggage (everybody has some) that can often disrupt good performance. 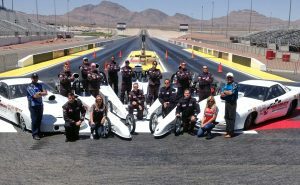 For those that are simply looking for the thrill of blasting down the quarter mile, the Dragster Adventure in Las Vegas starts at just $499 for the half day program, or $699 for the whole day program with SIDE-BY-SIDE racing. 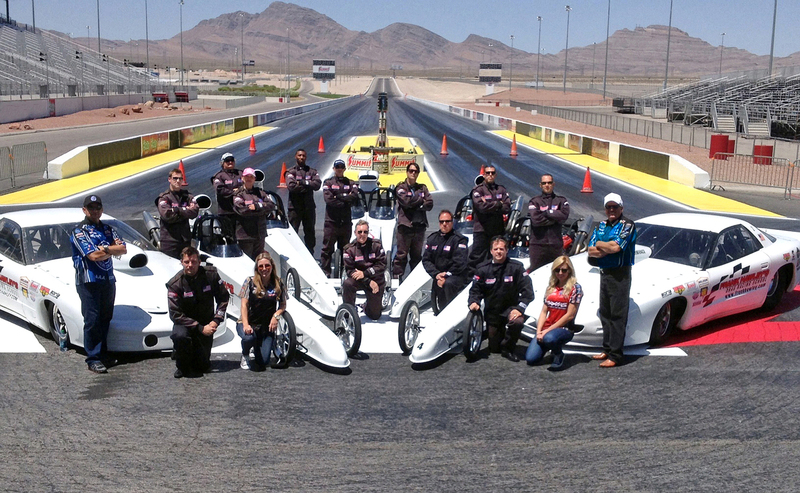 Seats are limited and advance registration is required, so call now to reserve your seat for the May 17-18 or October 10-11 Las Vegas competition course, or book on-line for the Las Vegas Dragster Adventure on October 12 or October 13. 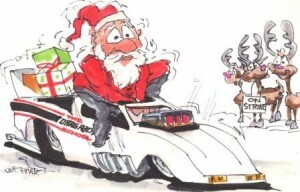 For additional information, please call Paul Shields or Jeff Arend at Frank Hawley’s Drag Racing School, 866-480-7223, or visit our website for additional class dates and locations at www.frankhawley.com. Follow us on Facebook, Twitter, Google+, YouTube!